The contract involved the construction of two additional iron ore export berths at Nelson Point inside the harbour at Port Hedland, Western Australia. The scope included 17 berthing dolphins, 16 topside modules and 300 piles. Following the success of the Rapid Growth Project 5, McConnell Dowell was awarded the Rapid Growth Project 6 Marine Works contract by BHP Billiton Iron Ore Pty Ltd in May 2010. The McConnell Dowell team maximized the use of modularisation to improve construction efficiencies, reduce on-site labour and ensure a quality outcome. A Heavy Lift Vessel was mobilised to bring large wharf deck modules from China to site and lift them into place. McConnell Dowell’s Batam fabrication facility and Perth precast yard also contributed to the modular solution, with temporary works items and precast wharf deck panels. 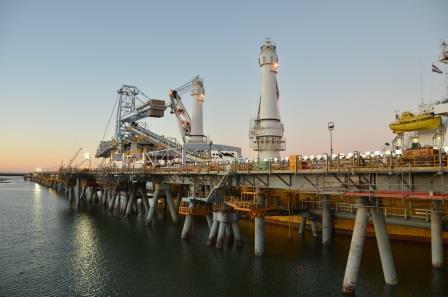 The project, completed in September 2011, has maintained the positive relationship between McConnell Dowell and BHP Billiton in the delivery of key port infrastructure to sustain expansion from their Pilbara operations.